We board: Rabbits Guinea Pigs Hamsters, Mice etc. Having worked as a qualified Veterinary Nurse for 10 years my experience with small animals is extensive. I understand it is a worry leaving our furry friends to go on holiday so be assured I will give the best care and attention possible. I am passionate about caring for animals and am more than capable of administering any medication needed. Purpose built hutches in a secure enclosed environment. All hutches have a plastic tray filled with wood shavings for toileting and a darkened area filled with hay. A large, secure run is provided made with galvanised mesh for your pet to have some exercise daily. Please provide proof of these vaccinations on arrival. All hutches are cleaned daily and fresh food and water is provided to fit in with their normal feeding routine. All hutches and equipment are thoroughly cleaned and disinfected between guest stays. Any medication can be administered, please bring with any medication needed. I have a close relationship with a local veterinary hospital but am happy to use your own vets if it is local should this be required. 1 Rabbit/Guinea Pig £9 per day. 2 Rabbits/Guinea Pigs sharing a hutch £13 per day. 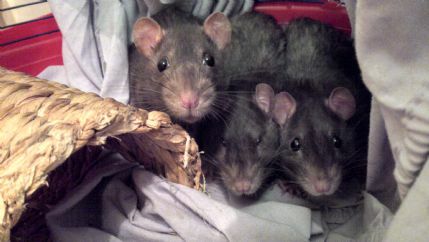 Hamsters/Gerbils/Mice/Rats £5 per day per cage of 3 or less. Lovely lady, friendly and helpful, thanks for care given to our hamster. My bunny Dexter has stayed a couple of times with Lisa. All the family are so attached with him hes almost six and weve had him since he was 7 weeks. Hes our baby. But i was so relaxed leaving him in safe hands. Lisa has very clean and big size hutches which are in a secure enclosed environment. Highly recommend it. Used Lisa's Bunny Hotel at the beginning of August for my 2 guinea pigs. Lovely, clean environment and my 2 children were very impressed. Will use Lisa's again and have already recommended to a friend. We are located in Ruislip in a quiet residential street where there is ample parking available.